Am I Entitled to Any Portion of My Spouse’ Retirement Benefits in My Missouri Divorce? The short answer to this question is that the “marital portion” of your spouse’s retirement plan in Missouri is most likely divisible by your family court judge. Therefore, you will be entitled to a portion of those benefits. However, there are some exceptions to this general rule of thumb. If you or your spouse have a retirement plan through your employer that is “in lieu” of accumulating credits towards future social security benefits, that plan may not be divisible in your divorce. 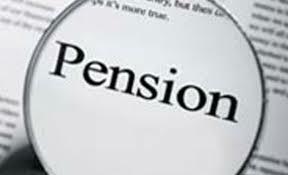 For example in a 2003 decision, the Supreme Court of Missouri found that a spouse’ retirement benefits through Missouri’s public school teacher’s retirement system are not divisible in a proceeding for dissolution of marriage. The Court held that these particular benefits are accumulated in the place of social security benefits and are therefore not divisible. Specifically, because the trial court does not have the ability to divide a spouse’ accumulated social security benefits, the Missouri family court cannot divide Missouri public school retirement benefits in a dissolution of marriage action. In Re the Marriage of Woodson. But, this is typically a very limited category of retirement plans. Yet, public pension plans that are a substitute for social security benefits will not be divided in your Missouri divorce. However, the marital portion of all other retirement benefits are subject to division. The marital portion is most easily defined as that portion of those benefits that accumulated from the date of the marriage until the date of the divorce. Those benefits which have accumulated before or after the marriage will generally be found to be the separate property of the spouse who accumulated the benefits and will not be divided by the court. This definition of the divisible marital portion applies to most all retirement plans including, but not limited to, pension plans, 401k plans, 403b plans, Simple IRA plans, traditional IRA plans, SEP plans, profit sharing plans, employee stock ownership plans and defined benefit plans. For the majority of these “qualified” plans, after your Missouri divorce court divides the marital portion of the benefits in its Decree of Dissolution of Marriage, a separate court order will need to be prepared by your Missouri family law attorney for the Judge’s signature. The order prepared by your Missouri family law attorney is typically referred to as a qualified domestic relations order (QDRO). 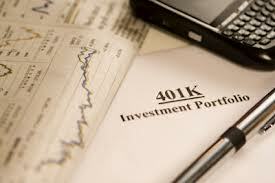 The terms of the retirement plan will dictate the manner in which the payout is made to the spouse. If payouts are made to the employee over the course of time such as with a pension, the spouse (referred to as the alternate payee) will likely receive his or her payouts in the same manner as the employee spouse unless the plan provides for an early cash out option. For plans that are not paid out over the course of time but have an existing value that can be accessed under specific conditions such as a 401k, IRA or similar plans a QDRO can operate to transfer the divisible interest into a separate account in the name of the alternate payee. In either case the timing of when the alternate payee spouse can actually access the funds will depend on the terms specific to the retirement plan. But regardless of these terms, the funds will not be accessible until the QDRO is completed by your Missouri Family Law attorney, adopted by the court and accepted by the retirement plan administrator through the employer. Finally for plans that are paid out to the employee over the course of time, a divorcing spouse (alternate payee) should discuss with his or her attorney whether there is an option to protect the defined future interest through the designation of a surviving spouse interest in the plan. This can give the alternate payee’s interest in the plan protection should a circumstance present itself where the former spouse should die before the initiation of the payment of future retirement benefits. The effective division of retirement plans in a Missouri divorce can become a complicated matter. This blog only addresses some of the general concepts involved in dividing retirement interests in a Missouri divorce. Therefore, regardless of what stage your Missouri divorce is in, you should seek knowledgeable advice from a qualified Missouri family law attorney to guide you through the nuances of this part of your property division. You may contact our office today for a free consultation to discuss the specifics involved in your Missouri divorce.